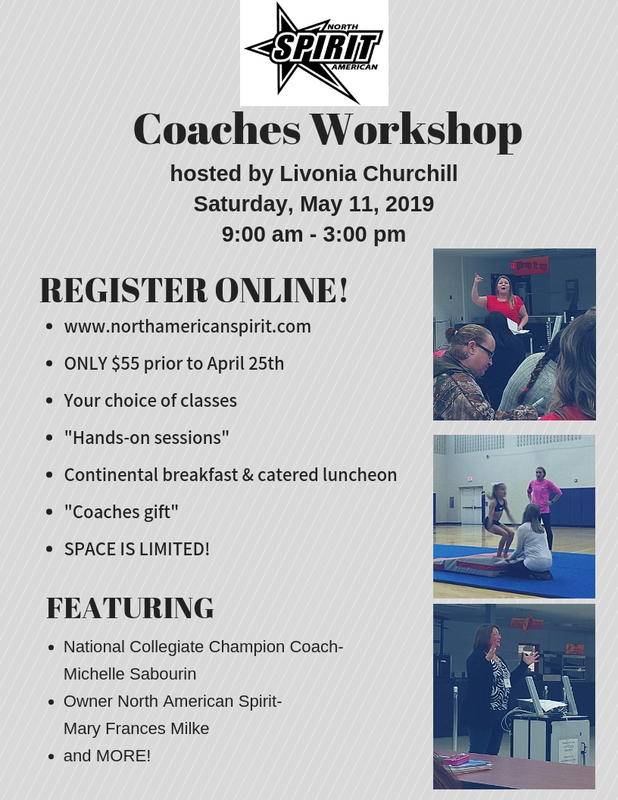 Don't miss out on the single, most valuable coaches educational workshop in Michigan! 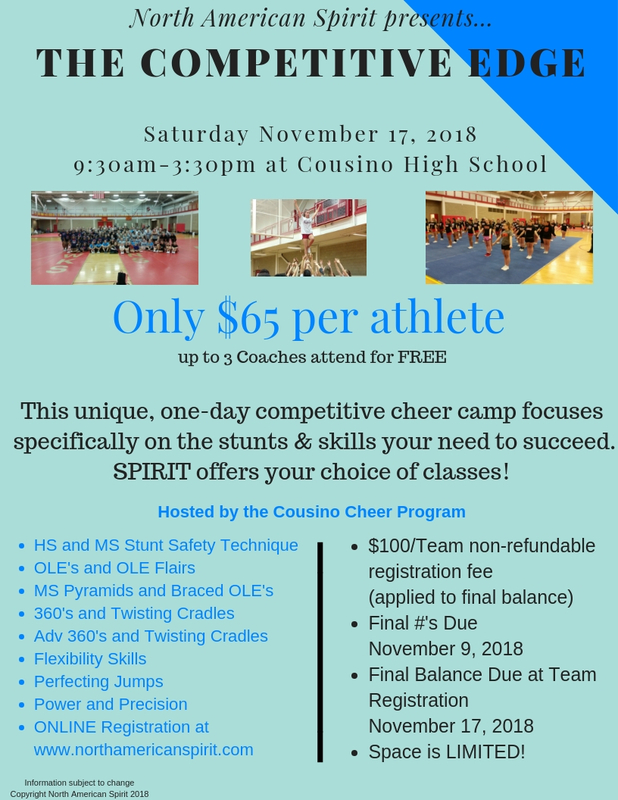 Learn the newest and best in cheer techniques from industry leaders! Coaches (up to 3 per team) attend FREE with their team! 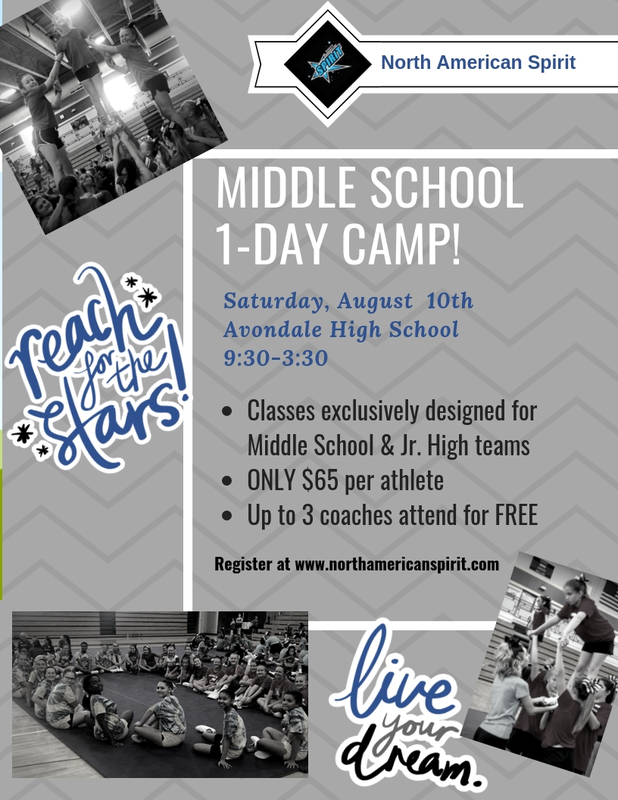 Open to Varsity teams ONLY! "Thank you Mary Frances Milke for the feedback form you and your Staff! It was a great day!" Let us come to you! 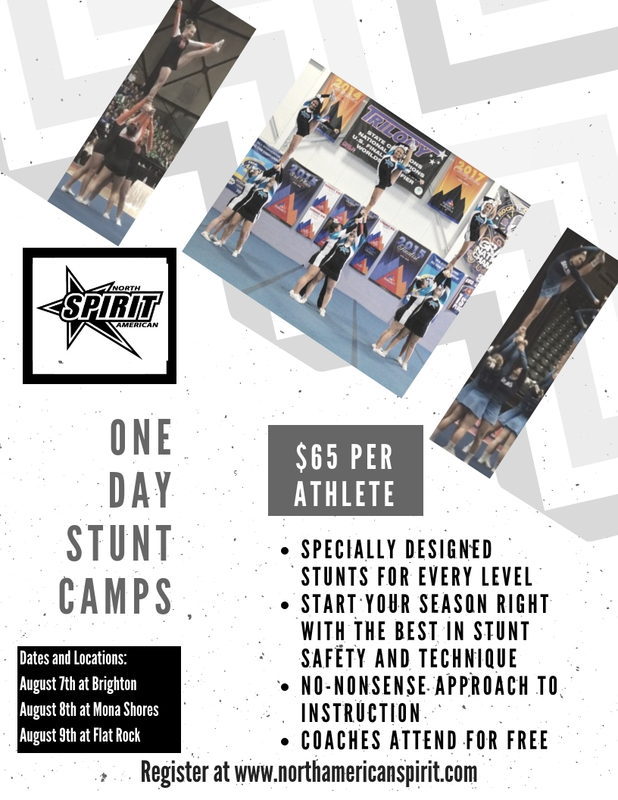 Stunts, skills, material... design your own camp! 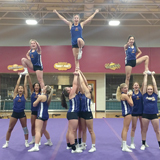 For just $14/hour/athlete we send two bases, a flyer, and back spot (15 athlete minimum or equivalent). Get personalized, hands-on training with the latest in stunt techniques! 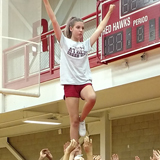 Call our office 586-281-3372 to schedule your team’s private camp today!